I have been teaching for 24 years now and at the age of 48, and as it’s the half-term holidays, this much I know about why fishing still matters. Fishing is a boy-dad thing. I can remember as a six year-old watching my dad stalk a chub in an eddied pool on a Sussex stream for nearly an hour before he caught it. He was a study in patient persistence; from that moment I was always going to be a fisherman. We’ve become ridiculously fearful for our children. I fished an ancient mill lake near Piltdown, Sussex throughout my childhood. It was set in deep woodland two miles from home. I would spend endless evenings alone on that lake and only once did my dad stand at the top of the road looking out for me to return. I’d become obsessed with a carp at the far end of a distant swim and, before I knew it, 11 o’ clock was upon me and I still had to walk home. 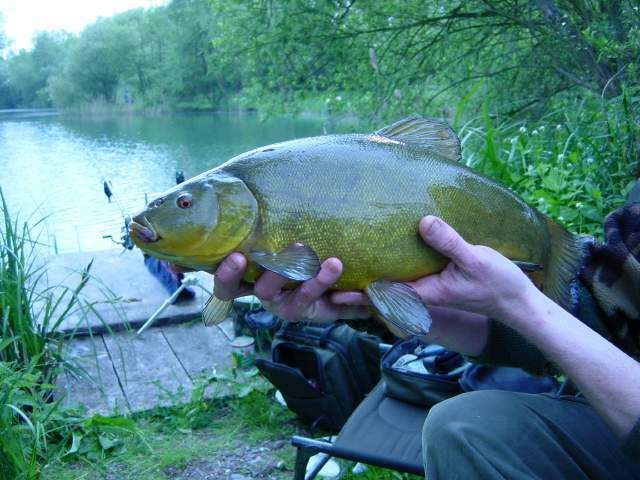 Tench are thick-set and slimy. They are quite beautiful with their red eyes and their olive skin, and as young kids they were the fish we all dreamt of catching. Once my mate Jim and I got stuck into a shoal and we caught one nearly every cast. I looked at them so often in our keep net that the mesh gave way and we lost the lot. On 10 July 1974 I caught a 3lb 6 oz and a 3lb 2 oz tench. I remember it so vividly because I wrote about it in my diary the following Monday in Mr Ashman’s class; I called the entry, The tench of July! The dangerous edge of things still attracts. 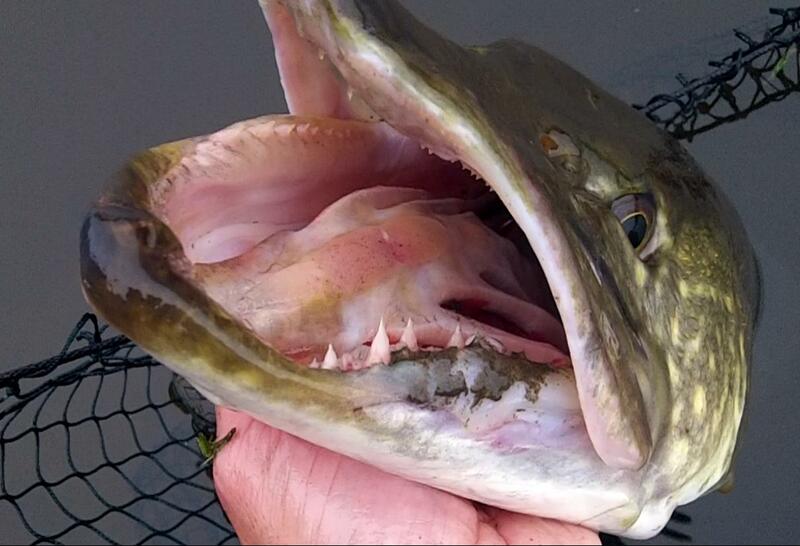 In the last few years I’ve fished for pike and big pike are near alligators. My mate Tom caught this prehistoric beast. I connected with Heaney like no other poet. Being a country lad from a working class family educated out of my class and background it was obvious I would, I guess. In fact his first published poem Digging resonated with my uncultured 18 year-old self like some kind of depth-charge; overnight I went from scientist to literary-obsessive. Heaney calls it a coarse-grained navvy of a poem, but when I heard him read Digging live a few years ago it unblocked a weirful of emotion I hadn’t even realised was dammed up inside me. 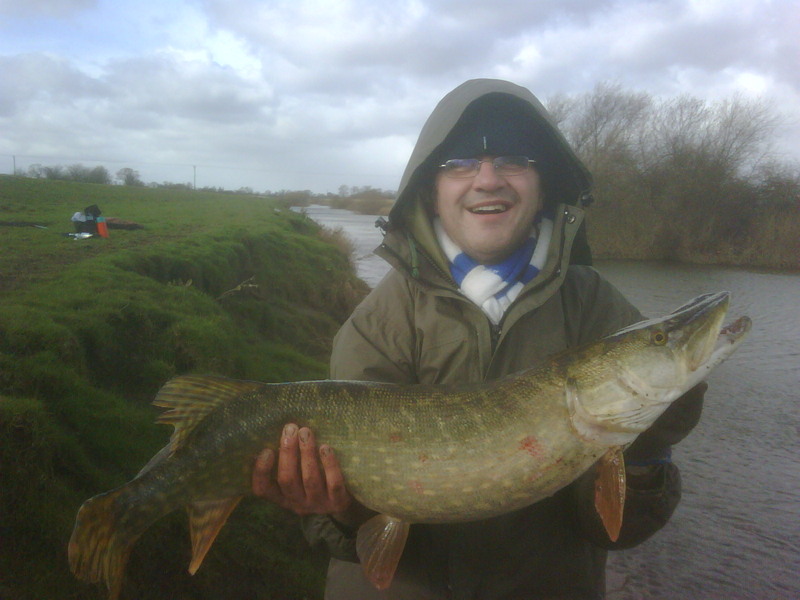 His poem The Gutteral Muse combines the tench and the pike perfectly. And watched a young crowd leave the discotheque. Was said to heal the wounds of fish that touched it. Wanting to swim in touch with soft-mouthed life. Yorkshire river fishing is hard to beat. On the last weekend of the academic year a bunch of us go walking in the Dales. We often stay at the Falcon Inn, Arncliffe. Mr Miller’s the landlord and the first time the six of us arrived to share three double beds we were greeted with the robust enquiry, You’re not gay, are you? The beer, food and scenery make the common-sense Yorkshire hospitality just about tolerable. 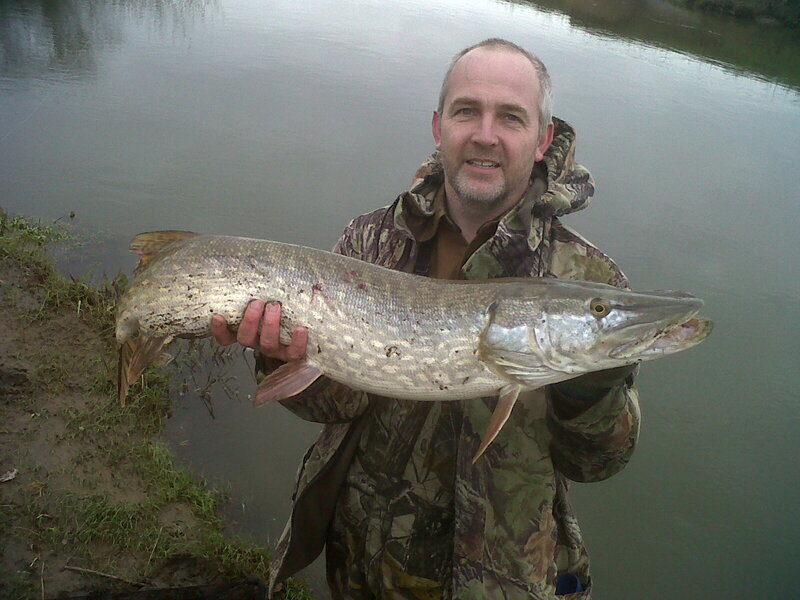 The Falcon also has exclusive fishing rights to the River Skirfare, 200 yards from the pub’s door. 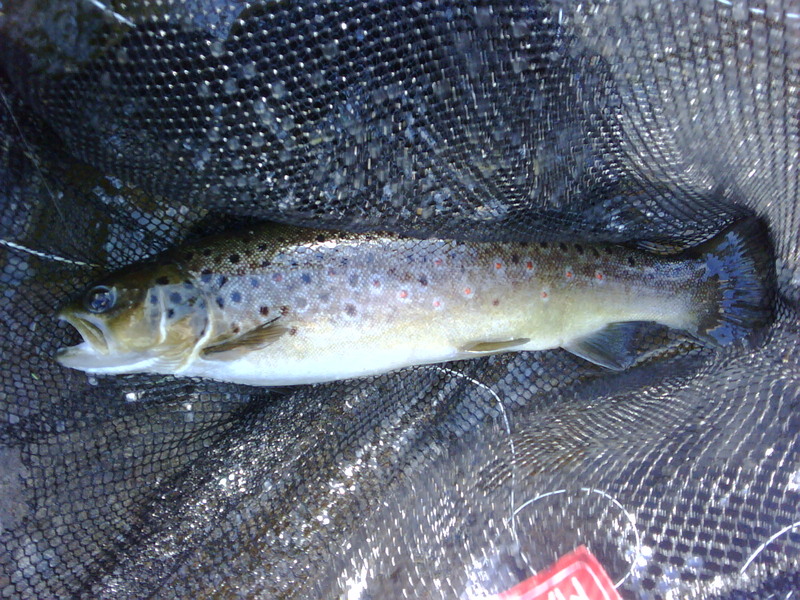 Here’s a wild brown trout I caught on a Mayfly. Fishing helps connect with students on a completely different level. 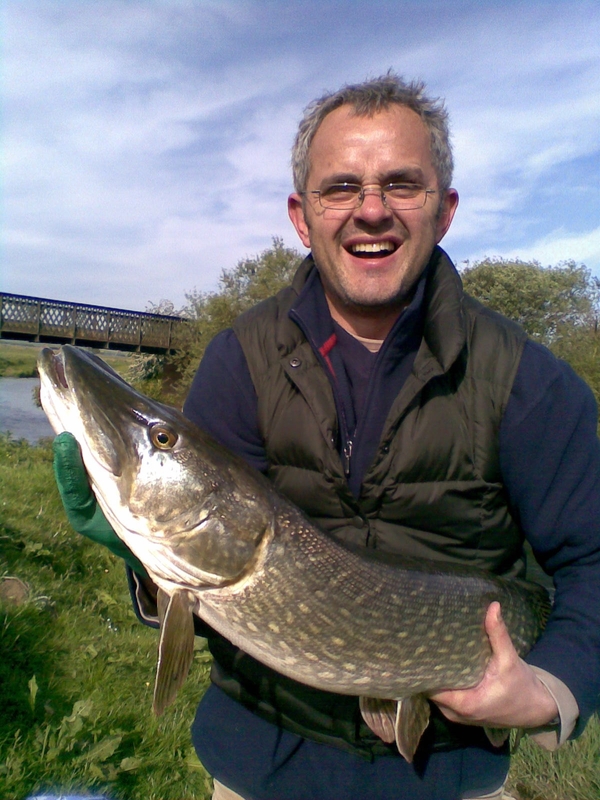 I have this photo on the wall in my office and I still get the odd knock on the door, two lads standing there awkwardly, enquiring about, A picture Sir…of your pike. Winter fishing requires grit. On Red Nose Day a few years back I was persuaded to put this photograph on the staff noticeboard and invite humorous captions for charity. The winner was, Care in the Community works! The gene pool carries few guarantees with it. On occasion I have tempted my boys out to fish, but neither has allowed fishing to enter his psyche like I did. 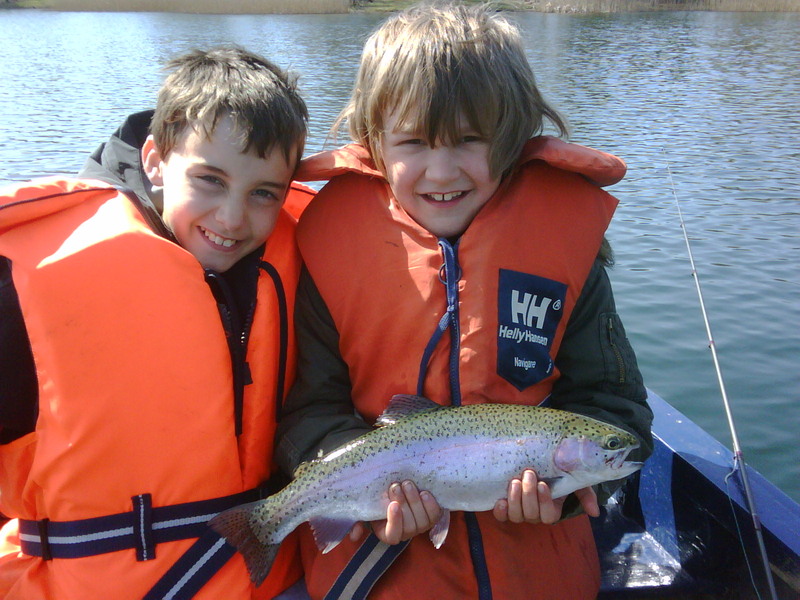 My youngest caught a cracking rainbow trout a couple of years ago as the picture below attests; but even on Monday this week, when I whispered to Ollie as I put him to bed, Ollie, I’ve got a real treat for you next Saturday, he replied, with minimal tolerance, Dad, I’m NOT going fishing. 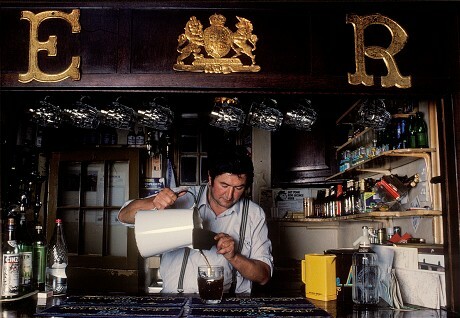 Come Saturday I’ll be off piking alone, consoled by the tranquility of solitude. I went with Tom in the end and I caught four – this was the biggest at 26lb 8oz and my personal best! Thanks for this John. Took me straight back to teen years in Leeds – fishing on the Ouse and Wharfe and in Roundhay Park – sometimes freezing, sometimes fantastic summer evenings but always strangely obsessed with catching fish.